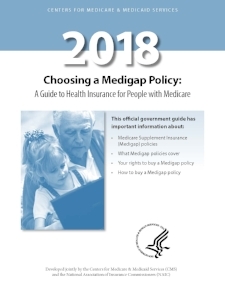 On page 81 of the Medicare and You Guidebook, provided by the US government, it tells us that all Medigap (Medicare Supplement Insurance) plans standardized, meaning plans with the same letter designation are all the same. The benefits must be identical, as they are strictly enforced by the government. The price, or commissions a company wishes to embed within the price, is the only difference between a Plan F from Company A or Plan F from Company B. The benefits are all the same. Today, all companies utilize electronic claims payment. They absolutely MUST pay the bill on Medicare-approved claims. 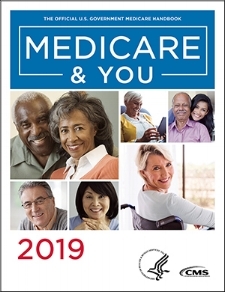 While it is important to shop with “A” rated carriers for strength, it is equally important that seniors not fall in love with a brand name with Medicare Supplement insurance. Why? Because a policy with one company does not pay any more benefits that the policy with the lesser known company brand. They all function exactly the same. They have to pay all of the Medicare claims! That is the legal requirement of each and every participating company that offers Medicare Supplement insurance. You will not find one thing different between the bills that were paid with the more expensive companies than the bills paid by the less expensive companies. You can pay for glitzy television, blimps that fly over stadiums, or salaried insurance agents – all in order to get that brand name, but the cost is reflected in your monthly premiums. The best possible solution is to have an independent insurance service provide you with ALL of the available options in your specific zip code. We are an independent agency and we represent every company that does a Medicare supplement in your state. We are not loyal to any one company. Our loyalty is to our clients. We can show you right on your computer monitor all of the companies offering YOUR exact same plan, side by side. Our mission is to get YOU the information YOU need for YOU to make a good informed decision. Our services are absolutely free to you and typically saves $700 per year for one person or $1,400 per year for a married couple, simply by having us shop the rate on the best value in the marketplace. What changes? Only the logo on your insurance card. The service will not go down, the bills will still get paid, and yes, YOUR doctor will still accept the insurance, as it is all filed electronically through Medicare.